Verbilly uses voice recognition to promote real-time quality feedback with learners, improves outcomes AND reduces teacher workload. Verbilly enables you to provide feedback using just your voice. 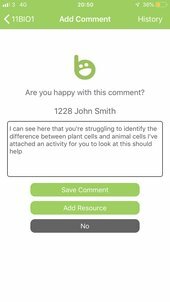 Simply tap the microphone and ask to add feedback to a student, you can then dictate the feedback and add any resources / images you wish. Access Verbilly from your mobile device, giving instant feedback. Add pictures of work done by students to your feedback. 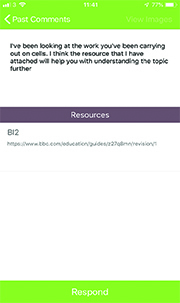 Add your own resources + use available resource banks and attach these to your feedback comments. Provide feedback that is timely and individualised, allowing students to progress quicker. Bespoke, contextualised feedback encourages independent learning and parental input. Our support team is always here to help with any questions or issues you may have. 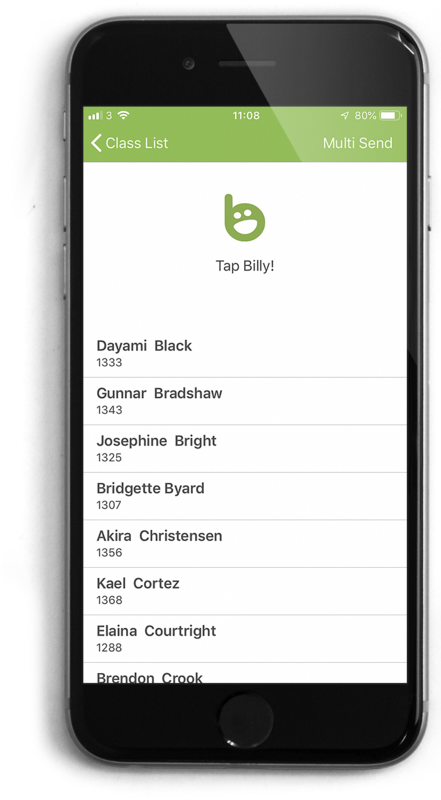 Verbilly represents the future of teacher-student feedback. Using only their voice, Verbilly equips teachers with the means to provide truly effective, timely feedback. Considerable research shows that schools should focus on the efficacy, timeliness and quality of student feedback. Our team of researchers/educationalists have developed Verbilly in order to meet this challenge. Verbilly represents the future of feedback in education. Using only their voice, teachers can provide the kind of feedback which will encourage learners to progress more quickly. Implemented correctly, Verbilly will enhance any learning environment and inevitably lead to improved outcomes. Verbilly was created with teacher well-being in mind. Providing better quality feedback while reducing teacher workload is at the heart of our vision. Research shows that effective feedback is very, very important. When John Hattie reviewed over 500,000 research studies, he found that feedback had more impact on student results than any other teaching strategy. Effective feedback is information allowing a learner to reduce the gap between what is evident currently and what could or should be the case. Verbilly uses cutting edge voice recognition software to allow teachers to do exactly that. 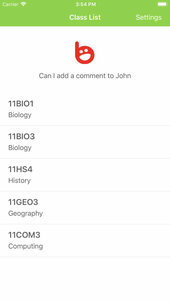 Our simple teacher app records feedback, transcribes it to text and allows the teacher to assign tasks and resources as part of the feedback process. Individualised, specific feedback and guidance allows the learner to make quicker progress.